Prof. Pat Utomi, renowned political economist and President of Lagos Business School, has taken a swipe on President Muhammadu Buhari’s government, describing it as being filled with men who lack vision and the political will to salvage the economy of the nation. 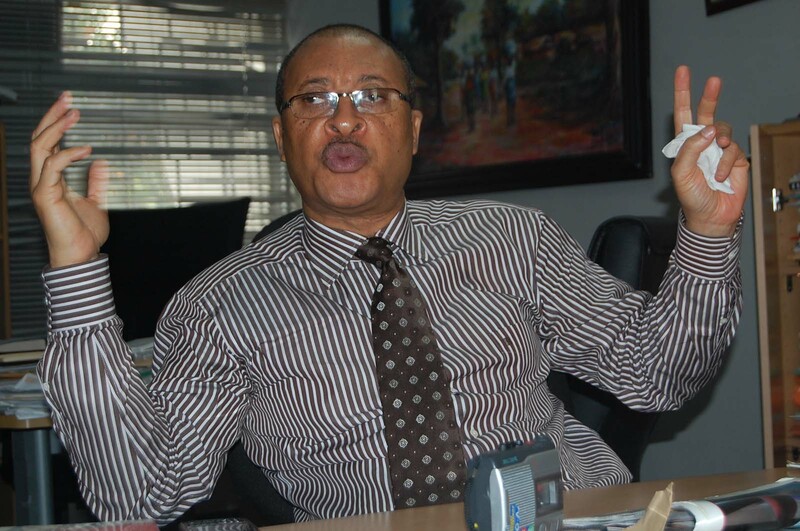 Professor Pat Utomi was speaking during the lecture organized by the School of Media and Communications on Tuesday, April 13, 2016 on the theme “Economic Survival in a Period of Dwindling Oil Prices”. He said men who occupy the political class were lazy and interested in filling their pocket at the detriment of the people they were meant to serve. He attributed the economic challenges being faced in the country to the visionlessness of the leaders at the helm of affairs, maintaining that rather than being people oriented, their programmes are repressive. He faulted the developmental policy of the federal government as it is flawed with no clear cut blueprint for national development and growth. According to him, “Nigeria a lazy political class that is not visionary enough to see the need to reposition the country in the right policies that will shore up growth and stability in our economy without the sense of playing selfish and dancing to personal gains and self-aggrandizement”. He said corruption has created a custom of people with money without the thought or foresight to create jobs for its citizens, even as he insisted that the government of the day is more responsible for the rot in the country’s economy than moving it forward.